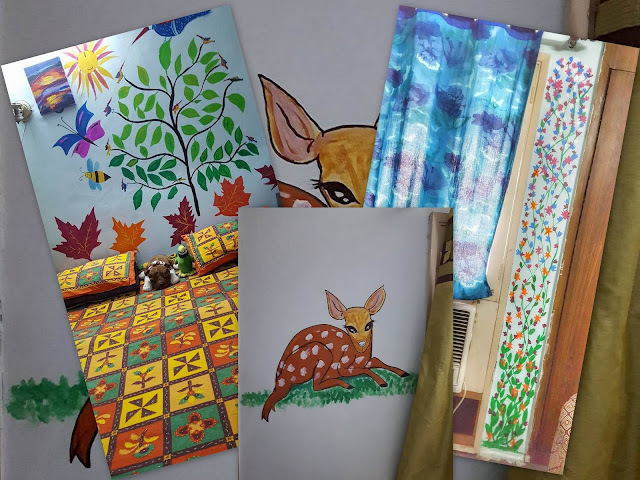 Many folks spend considerable time, effort and money to make their home a perfect replica of some other home that they have been in awe of. At times, a professional employed to work on your home interiors, ends up making your home a showcase of his creativity and talents. 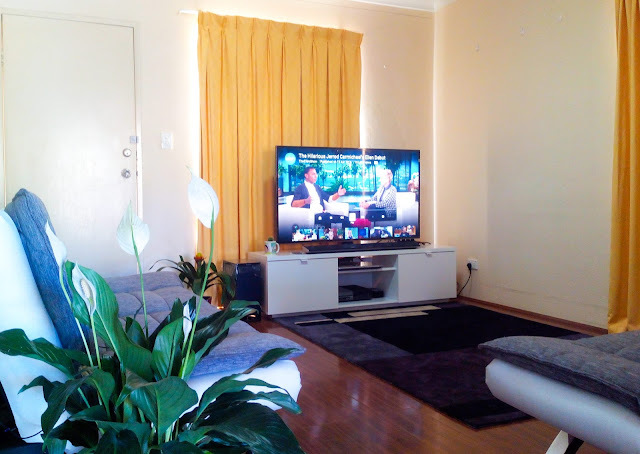 I have often come across homes that are flawlessly beautiful, tastefully done up yet the inhabitants living there, look totally out of place, its like you have walked into a lavish hotel suite - beautiful with that impersonal touch! 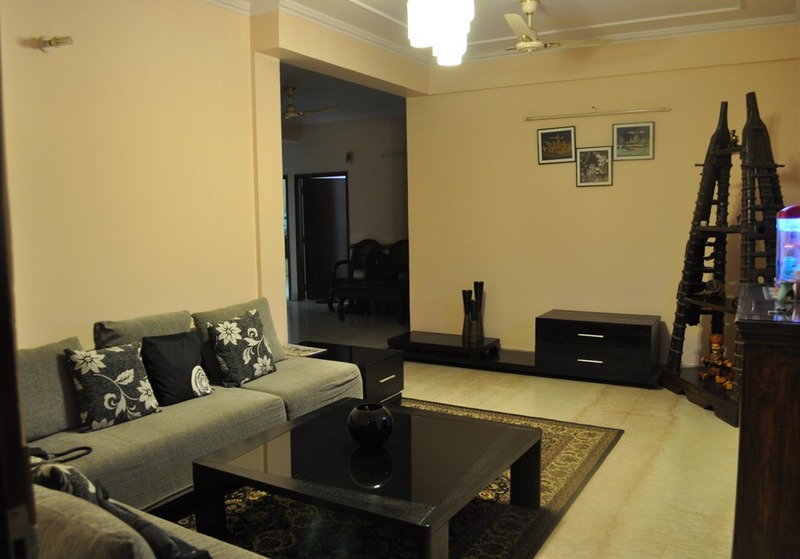 Your home NEEDS you, your personality, your likes, your dreams, quirks....may be not all but at least streaks of it to make it feel like an extension of YOU! You need to invest TIME, THOUGHT and INTEREST more than money to create a home that is genuinely YOU, reflects your likes and tastes, conforms to your requirements both functionally and aesthetically and one you will not tire looking at in just a few months! 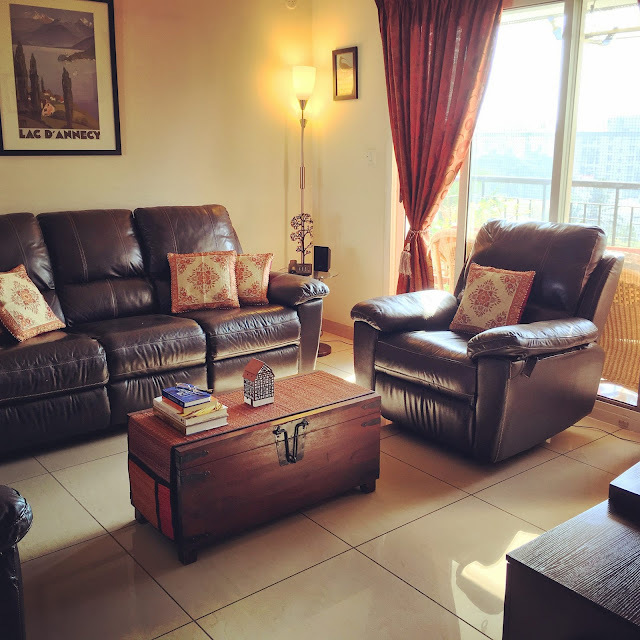 I take this opportunity to present to you some PERSONAL SPACES of dear friends who have generously shared pictures of their warm homes and spaces that truly reflect their spirit. 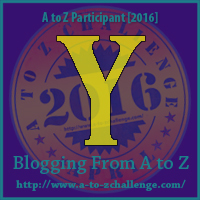 These are the homes of my dear fellow A to Z Challengers and friends who have been with me all through the month of April to cheer me on with their encouraging comments, ensuring I pulled through the challenge! 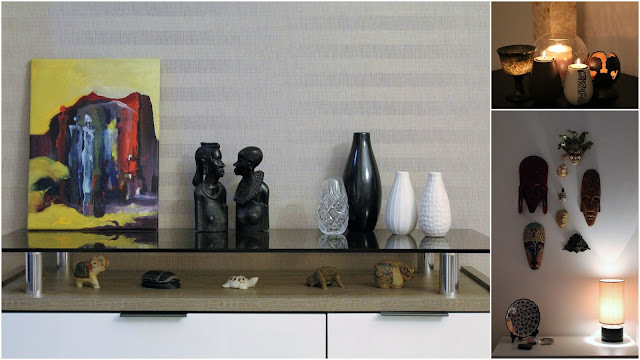 Real homes of Real people that may not be picture perfect like those in a glossy magazine, yet they ooze oodles of personal touch! 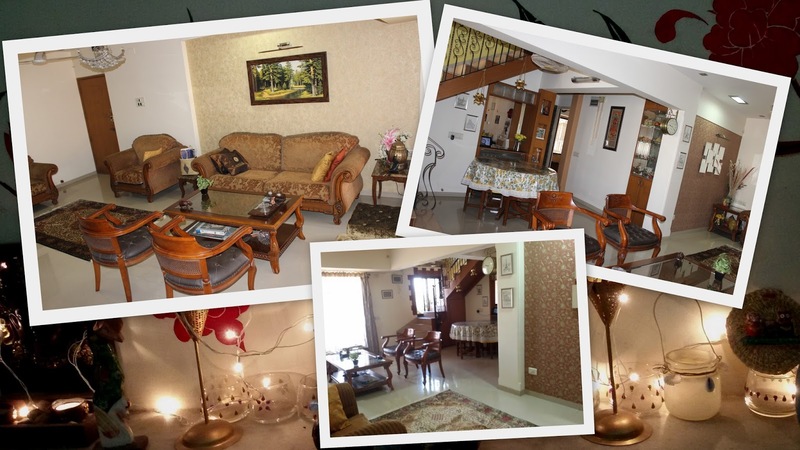 Each of these homes is unique; they are homes that are rich in memories, spaces that speak volumes about their residents, reflecting their interests, their passion and most importantly they all have the warm glow of Home Sweet Home! 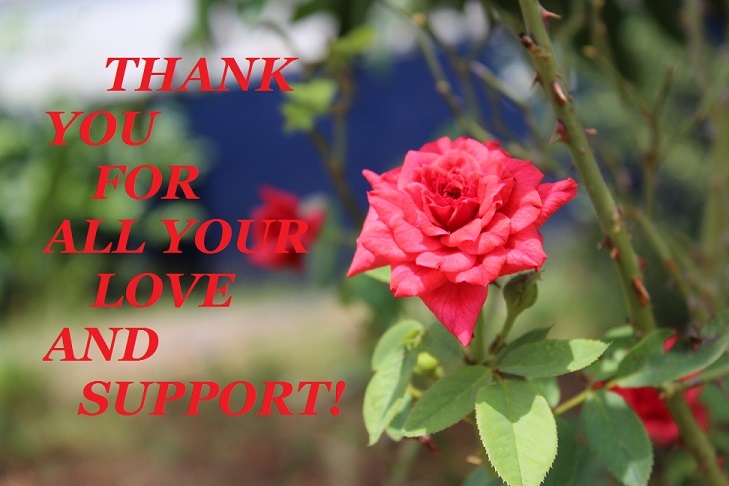 Thanks to each and every one of you lovely folks for being such sports and also for your amazing contributions to this post! Warm and comfortable - Esha Mookerji-Dutta's home with the lovely sofa, center-piece and the corner lighting. Cosy and cheerful Parul Thakur's home, great colors and optimal space utilization. 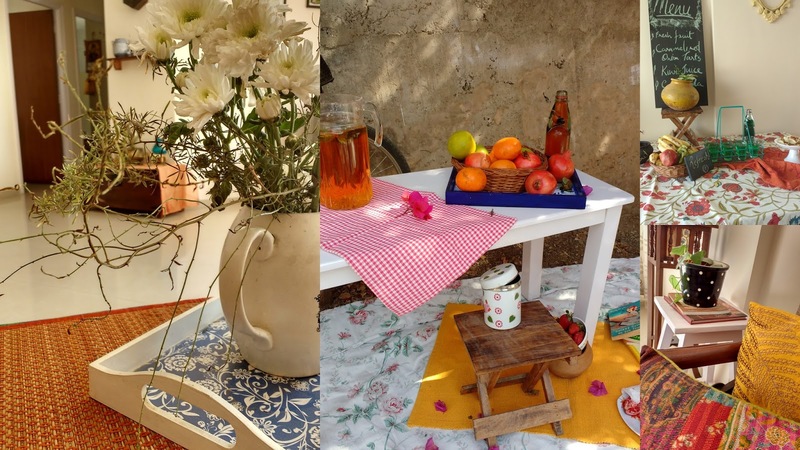 A nook in Shinjini - The Modern Gypsy's home, charming and so quaint! 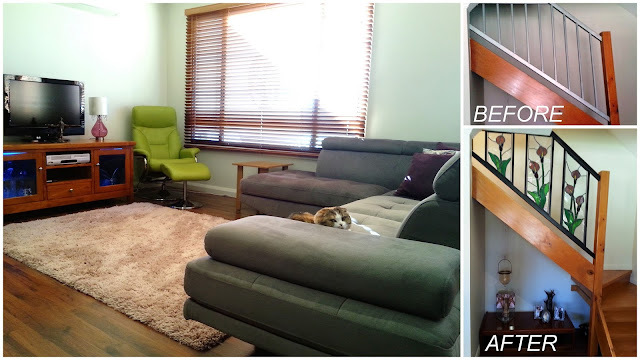 Serene and suave - Leanne Lecras's home, the lime-green corner recliner and the beautiful stained-glass work (by her) steal the show! Smart and sensible - Shilpa Garg's home with beautiful color coordinated upholstery and accent pieces. 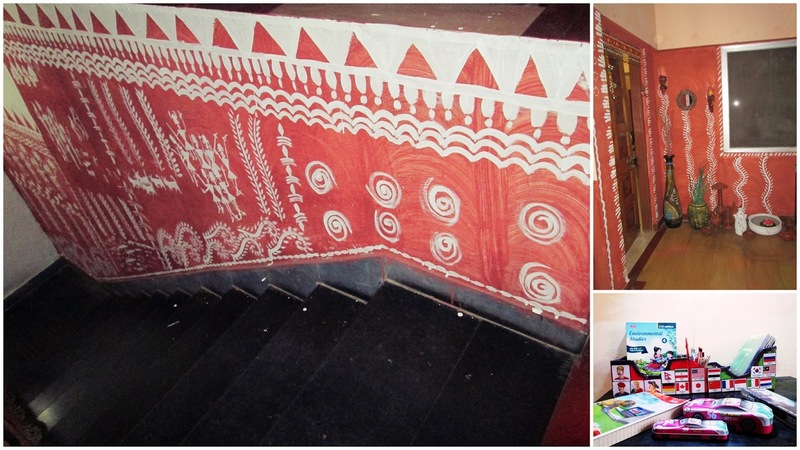 Artistic and creative - Sulekha Rawat's home is an expression of her passion and feelings! Vibrant and refreshing Sharon Colaco's home, with artistic vignettes that are show-stoppers! Relaxing and rejuvenating in soothing shades of blue and white at Sue Loncaric's elegant home. 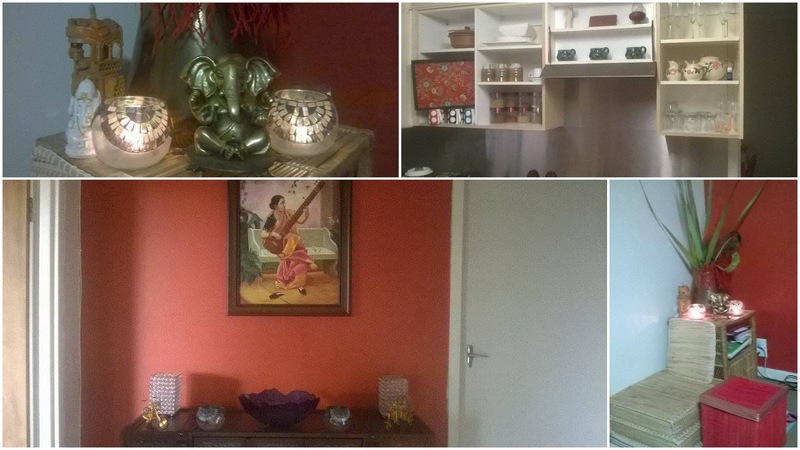 Warm and inviting with the beautiful painting, lovely artifacts and curios at Sunila Vig's home. 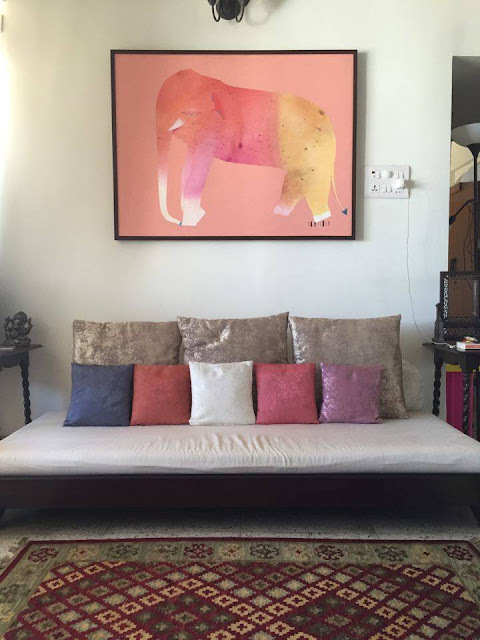 Beautiful color coordination, tasteful art, lovely seating and rug at Sunita Rajawade's home. 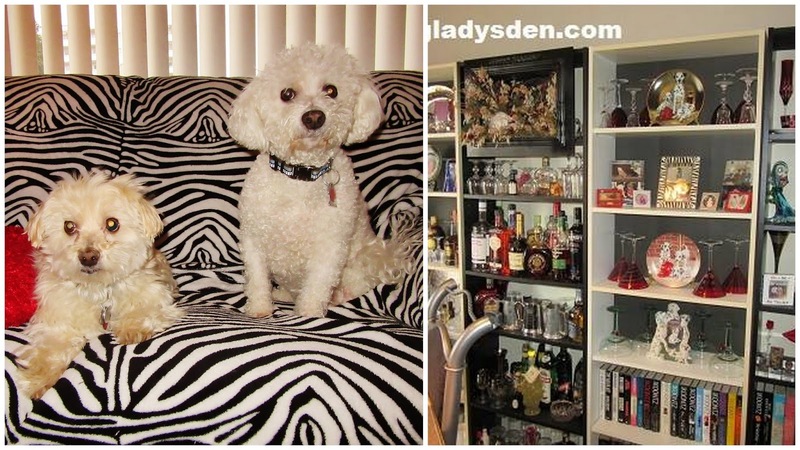 Unique and interesting just like her, Debbie The Doglady's home, her amazing curios and her cutie-pies! 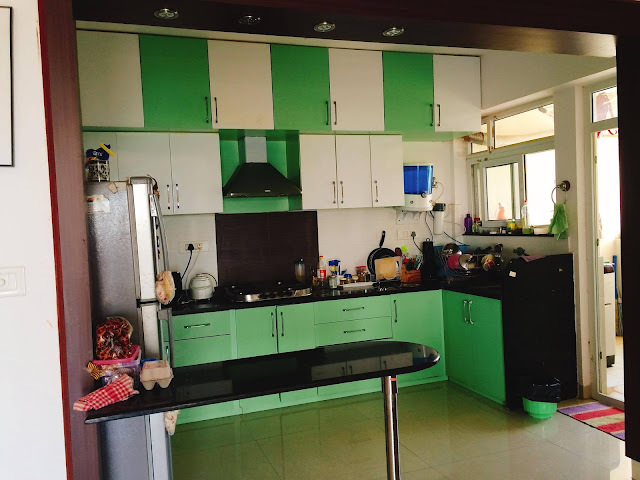 Energizing and refreshing from the heart of Tina Basu's home, from where she dishes out amazing treats! 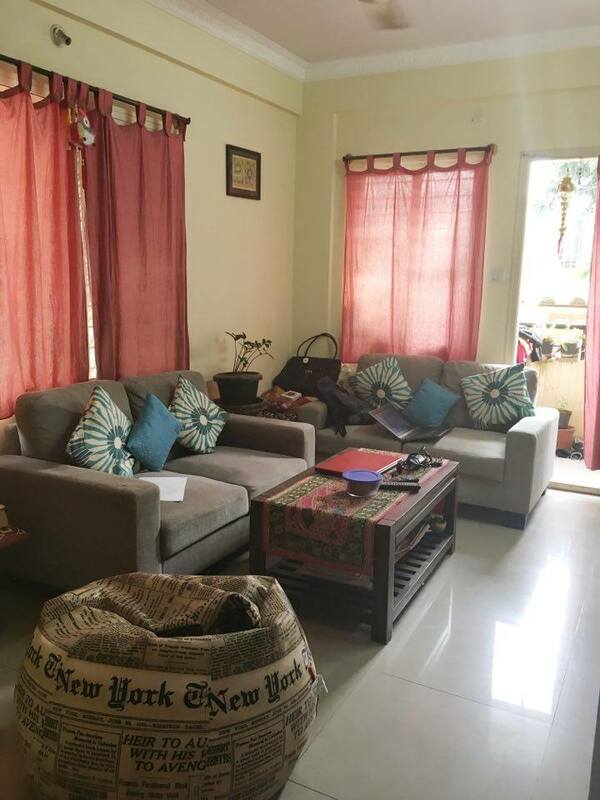 A sunny haven - Rajlakshmi Boruah's home with the gorgeous greens and cool decor! 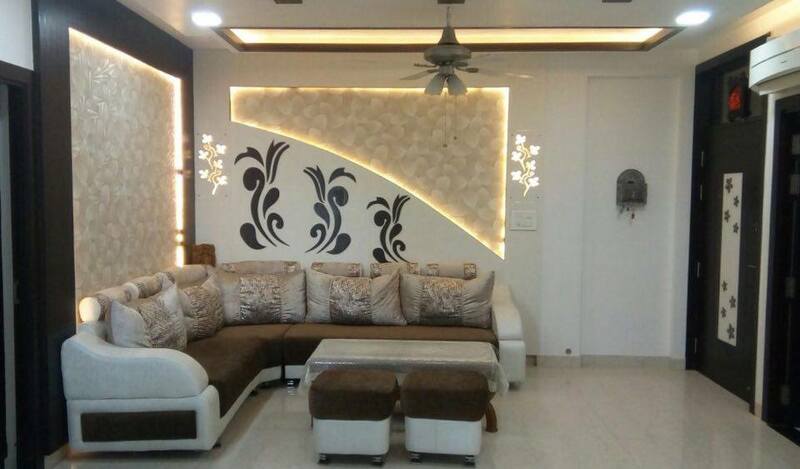 Dazzling light play, cool seating and wall decor at the boisterous Geetika Gupta's home! Gorgeous vignettes and quaint collections at Nilanjana Bose's home, love the light play! And finally we are at the home of Yours Truly! Hope you all enjoyed viewing these visual treats as much as I enjoyed compiling them! 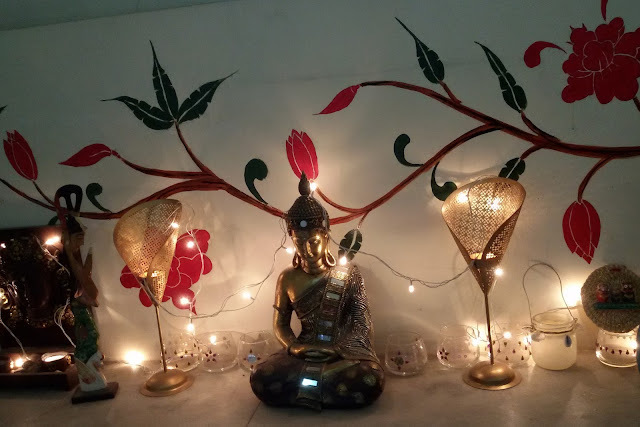 Till later, stay blessed and keep decorating your home, your style!